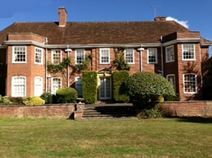 This property is situated in the grounds of a prestigious estate, offering ample parking and easy access by road. The building provides superior serviced office space designed around the needs of the client. A full selection of business support services is available, and the centre overlooks the local golf course. 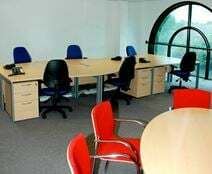 This building has excellent new office space in Oxfordshire with proficient features to keep you motivated throughout the working day. With a shimmering glass feature, the building has private booths, naturally-lit private offices, meeting rooms and excellent break out rooms. If you're wanting a break from the office just head to the roof terrace to relax and take in the glorious views of summer. The building is also housed in an extremely convenient location; within a mile of the Henley-on-Thames railway station and accessible by all major transport links. It is also close to the town centre where you'll find local restaurants, bars and cafes, as well as the historic River & Rowing museum. This business centre offers professional, corporate style accommodation with well equipped offices. The centre is located in Henley on Thames, a wealthy market town that has a direct rail connection to London and Reading and good road links for the M40, M4 and Heathrow. The centre provides business facilities such as meeting and conference rooms and more informal meeting areas.